South Florida has ridden a huge wave out of the financial debacle that sank the real estate market several years ago – and at a pretty fast rate. Much of the rebound is due to the influx of foreign buyers wanting a solid place to put their money that would offer a good return. The US real estate market – specifically Florida – fit the bill. This townhouse offers a beautiful lake view along with a nice, open floor plan. Inside, owners enjoy the gorgeous Italian kitchen with quartz countertops, wood floors, stainless steel appliances and other upgrades. Doral Isles is one of Doral’s most exclusive communities with amenities like an unbelievable community club house with several resort-style pools, an unbelievable children’s playground, basketball and tennis courts and more. Antigua is a townhouse community that is situated adjacent to the community’s club house and pools. There are currently only two listings in Doral Isles Antigua and only one sale over the past six months at 95 percent of the list price (average number of days on the market at 182 days). Doral Isles allows annual rentals; however, there are none currently for rent in Antigua. The average monthly rental rate for Doral Isles condominiums typically ranges from around $1,800 to $3,000. 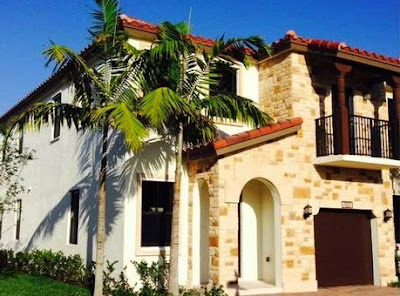 Doral is well known for being home to several luxury townhouse communities and Grand Bay at Doral is one of them. 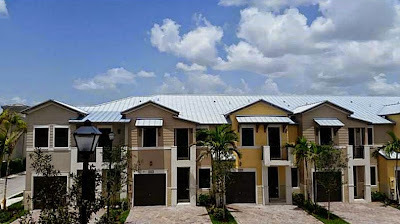 Just completed in the last couple of years, Grand Bay Doral is a community of executive single-family homes and large townhomes. This unit is situated on a single house lot and features a full bed and bath on the main level along with three bedrooms and two baths on the second floor. Additionally, the large kitchen has stainless steel appliances, stone counter tops and custom wood cabinets. 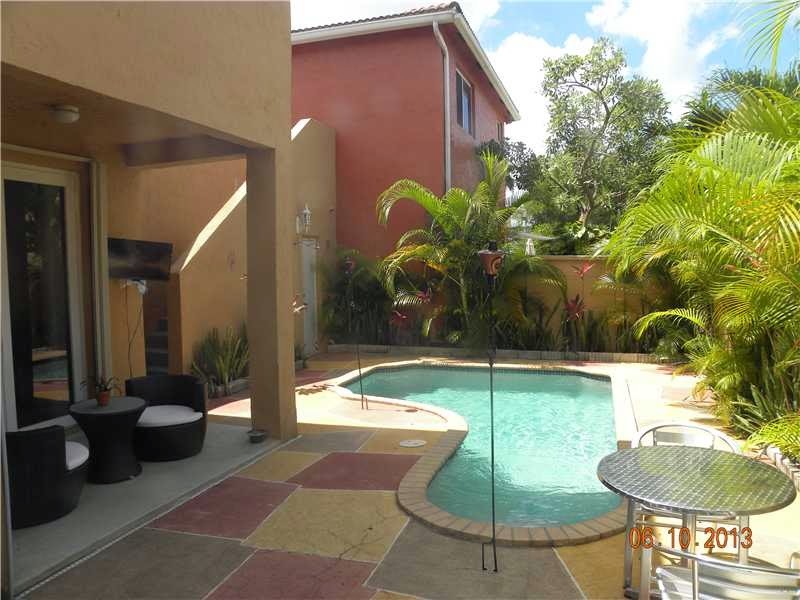 There are so many incredible fixtures and finishes throughout the house including tile flooring on the first floor, wood on the second floor and a wonderful patio to enjoy the Florida breezes. Grand Bay Doral is a newer neighborhood just a short drive from Trump National and top schools in Doral. There are currently seven townhomes listed for sale in Grand Bay Doral with list prices ranging from the mid-$200s for two bedrooms to almost $500K for four bedrooms. 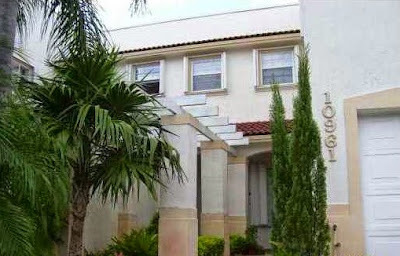 This townhouse is also available for rent (furnished) at $3,000 per month. This four-bedroom, three-bath home is just under 2,400 square feet with a newly renovated kitchen, large, open living areas and a private outdoor pool. Piazza Vecchia is a small gated enclave of homes ideally situated in the heart of the City of Doral close to shopping, top schools, golf and major arteries into and out of the area. There are currently seven listings in Piazza Vecchia with three having four bedrooms and three baths. This listing is the lower priced of the two listings. Three-bedroom properties in Piazza Vecchia fall between the lower-$300s and mid-$400s while the four-bedrooms start at just under $500K and climb to the mid-$500s. There is currently one rental listed with a monthly rental rate at $2,350 (three bedrooms, two baths). Taking that average price per square foot, investors can expect a monthly rental rate for this property to fall around $3,000. Another new development that has finally come to fruition is Vintage Doral, a community filled with beautiful Tuscan style single-family homes and carriage houses (Vintage Place). This carriage-style home features four bedrooms and three and a half baths along with Italian custom cabinetry, porcelain flooring, marble bathroom counter tops and so many more amenities. Community amenities include a private gated entrance with a 24-hour manned guardhouse, professional community management, private clubhouse overlooking a beautiful lake complete with a fully-equipped adult fitness center and children’s playroom, a library, a business center with media room and kitchenette, an over-sized swimming pool with spa, sun deck, a BBQ gazebo area and fountains and so much more. One of the nicest features at Vintage Doral is the green park with trails for walking, running and biking. With six properties listed for sale at Vintage Place, this unit is one of the lowest priced in the community with the other topping out at in the mid-$600s. Vintage Place rentals are also available for rent with monthly rates ranging from around $3,000 to $4,000. In addition to being located in the heart of Doral, this brand new Doral Cay townhouse features four bedrooms and three baths under 2,100+ square feet of living space along with a great kitchen that has upgraded counter tops, stainless steel appliances. Doral Cay is a gated community with a large clubhouse, fitness center, resort-style pool, sun deck overlooking lake, playground, guard house with 24-hour guard and so much more. The location only makes this one of the most desirable neighborhoods in Doral as it is adjacent to the Morgan Levy Park and all it has to offer and very close to top Doral schools and top Doral golf courses. Currently, there are 15 listings in Doral Cay with list prices ranging from the mid-$400s to mid-$600s. Additionally, Doral Cay rentals typically range between about $2,600 and $4,200 per month for an annual lease. Even though list prices are showing signs of increasing, the amount of property for the investment far outweighs other areas of South Florida. So for foreign investors looking at South Florida real estate, Doral properties should be at the top of the list of possibilities. Developers see the value...so too should those wanting to buy real estate.